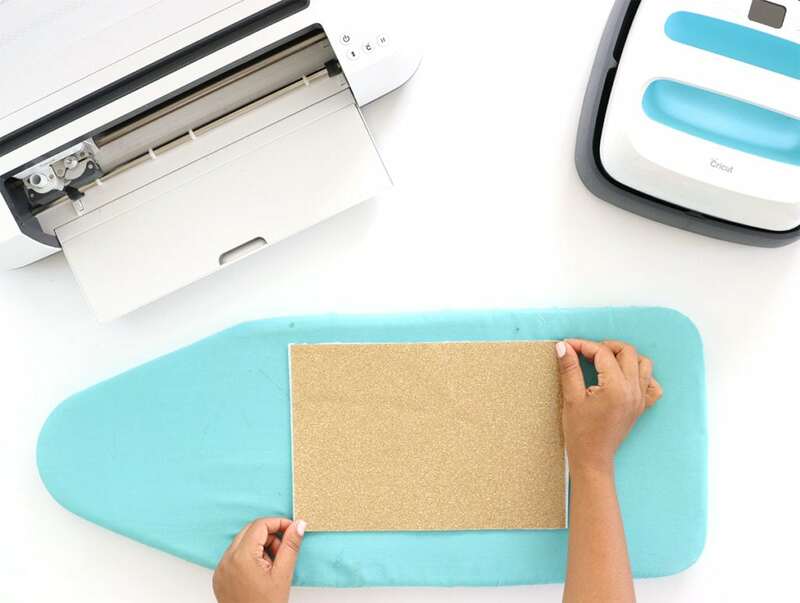 The Cricut Maker can handle velvet without any problem…but to up the luxe, I’m adding some glittery felt to the mix…and get this…we’re going to make the glitter felt ourselves!!! Get excited friends. 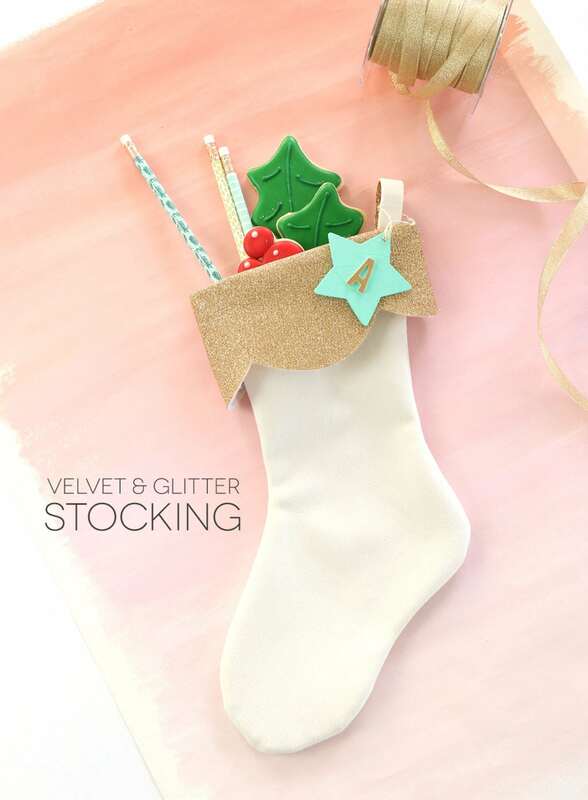 These DIY velvet and glitter stockings are perfect for your mantel…or if you’re looking for a special way to package up treats for friends, these are the way to go. 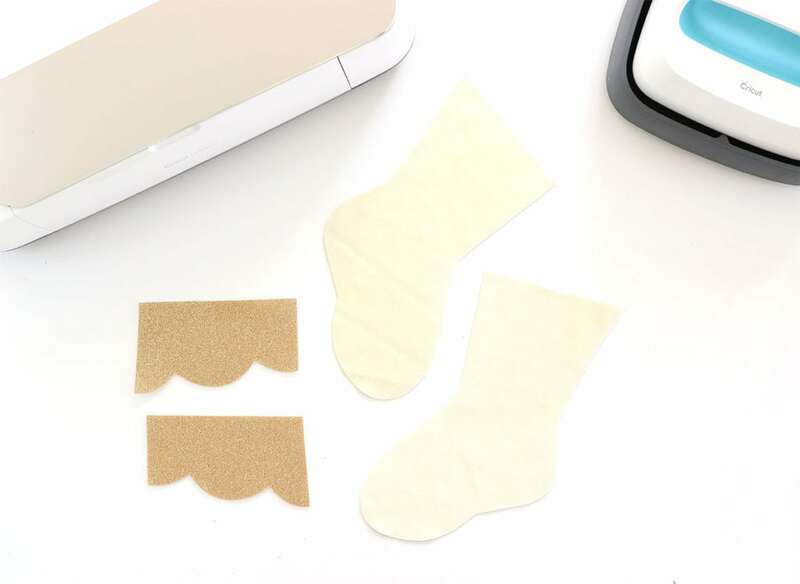 Scroll along with me through the full tutorial but if you want to see more detail on making these DIY velvet and glitter stockings, come join me on the Damask Love Facebook Page, where we’ll be making these LIVE! 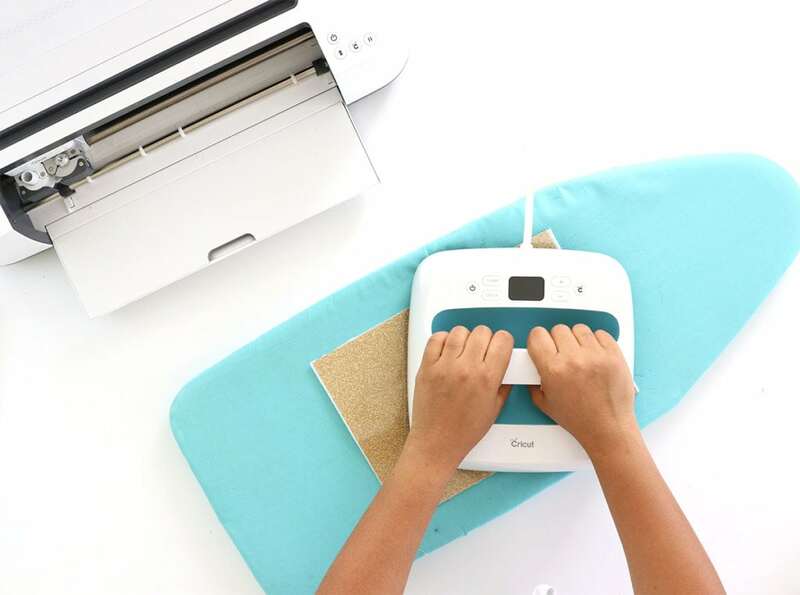 Place the glitter felt face down onto the cutting mat and cut it using the “Felt” material option on your Cricut Maker. 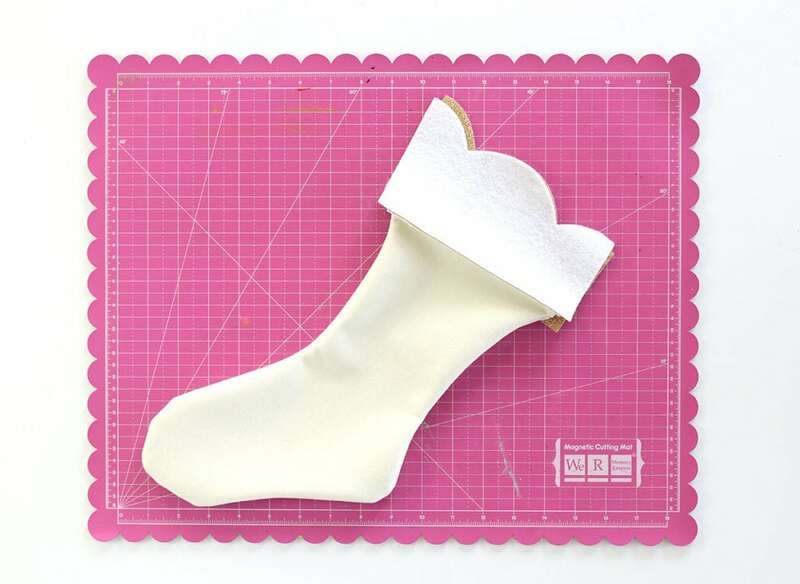 Next, cut the stocking pieces from velvet using the “Upholstery Velvet” material option. 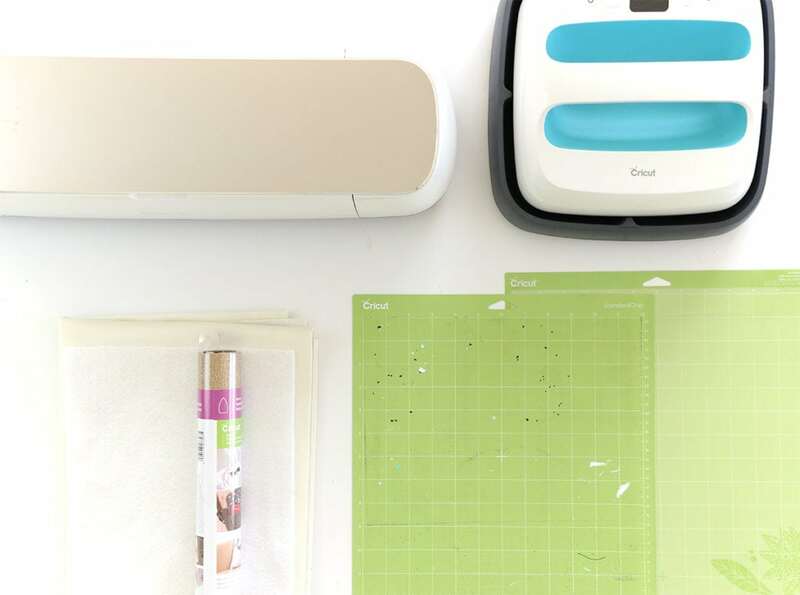 Note: When cutting the glitter felt, select “More” pressure from the dropdown menu to ensure a clean cut. 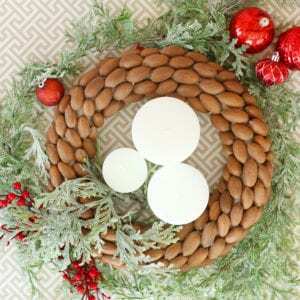 Arrange the glitter cuff and the stockings as shown. 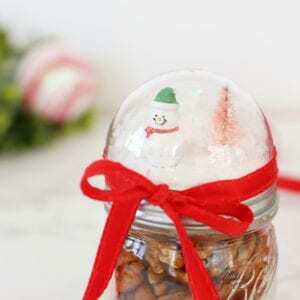 With the right side of the velvet facing up, place the stocking on top of the right side of the glitter felt. Then sew the two together along the top edge. 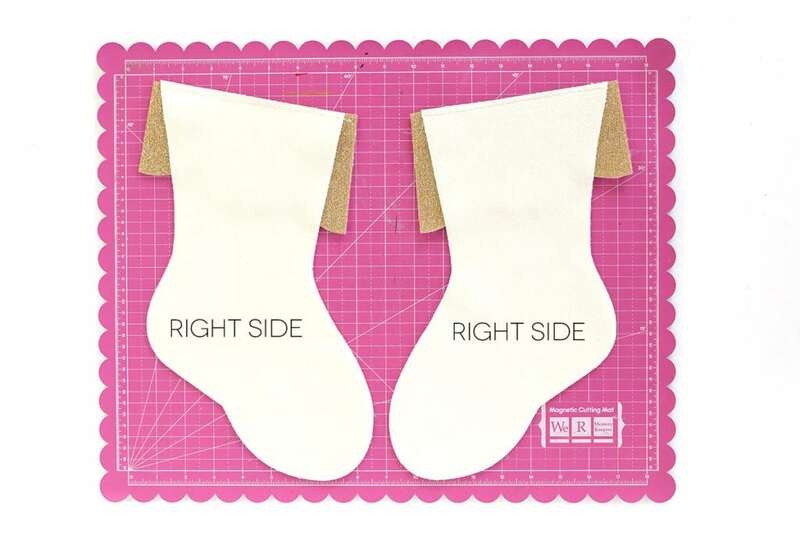 Arrange the stockings so that the right sides are touching and the wrong sides are on the outside. 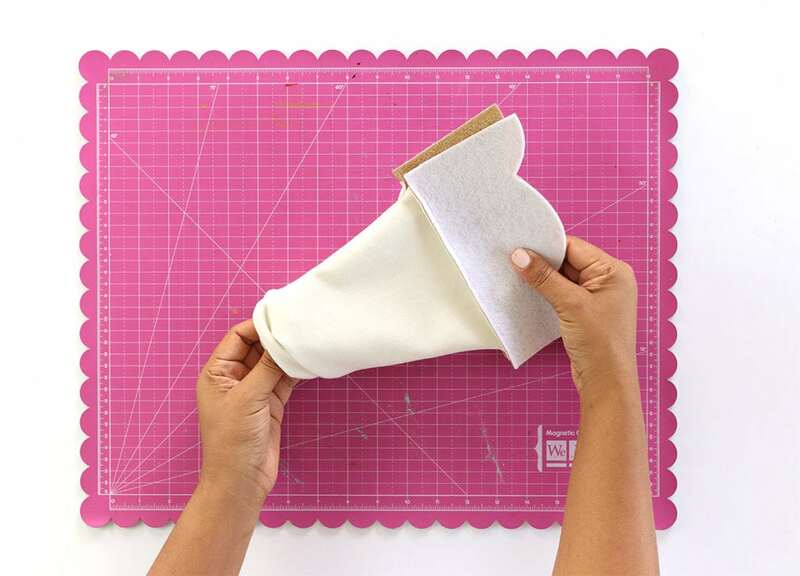 Flip up the glitter-felt cuff, and pin the velvet layers together then sew them together. DO NOT stitch the glitter cuff portions together. 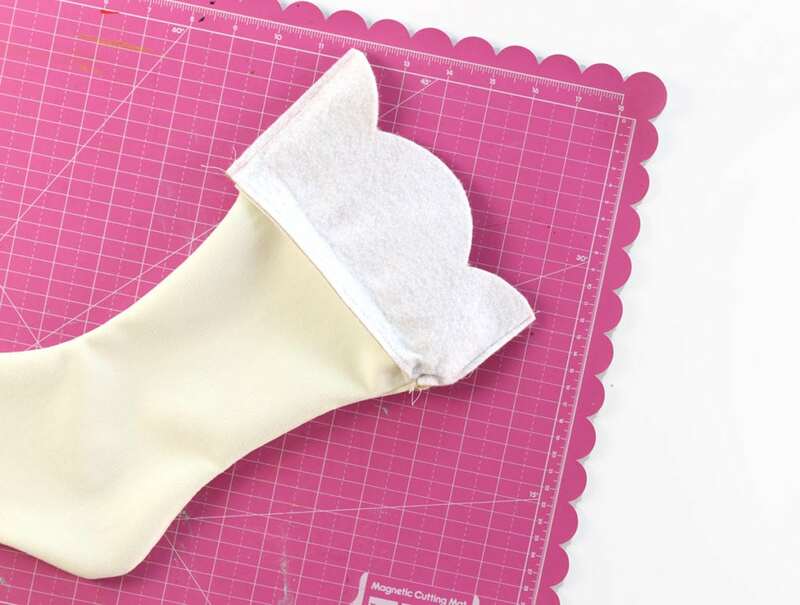 Once the velvet stocking portion is sewn together, turn the stocking inside out. At this stage, the pretty velvet will be on the outside and the wrong side of the glitter felt will be face up. Stich the sides of the cuff as shown. At this point you’ll be able to flip the cuff to show off the pretty glittery side! 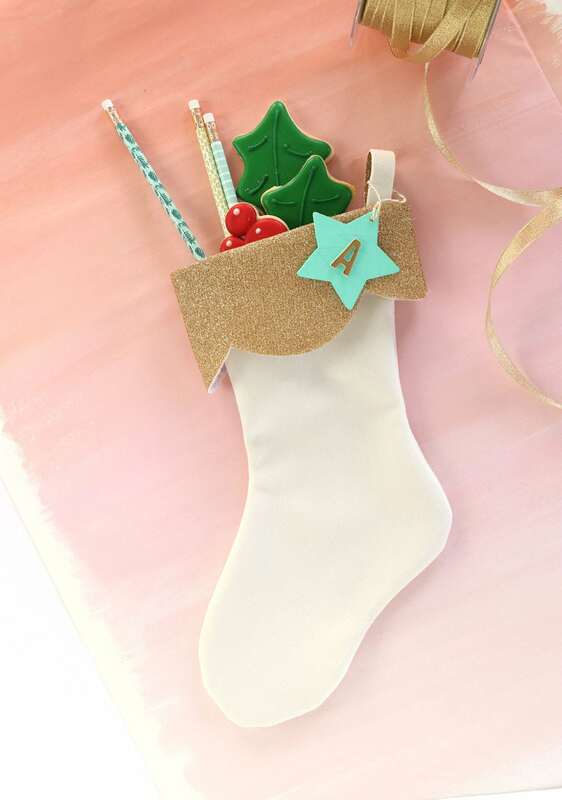 Don’t forget to join me today on Facebook Live where I’ll show you each step in making these DIY velvet and glitter stockings. Loved the video. 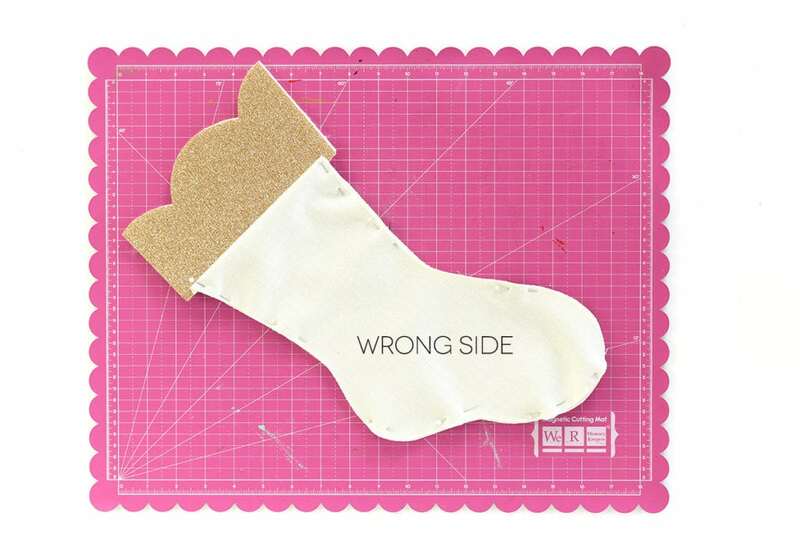 I want to try the stocking but I don’t know how to find the pattern . 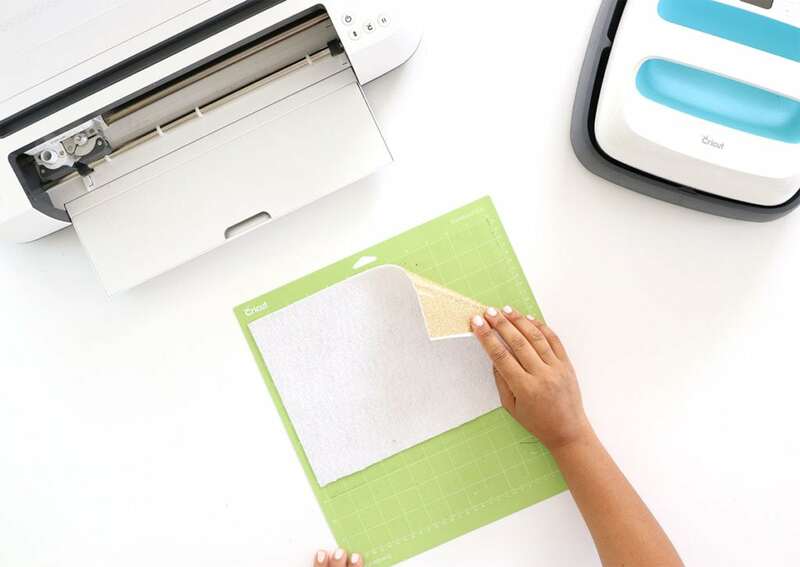 Can you please tell me where to get the pattern? These projects are awwesome. Just post more these stuff because I like them.